And with the results standing at 50/50 on the evening after the election and a nation holding its breath and this time around – the whole world watching — while the over 800,000 absentee ballots that will decide the outcome are counted, Leitner’s political analysis seems Arschgenau. Don’t be fooled. 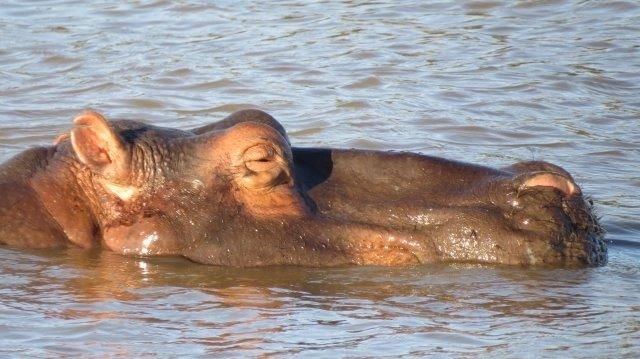 Whatapp Hippo Photo sent to induce Fernweh and envy. you’re like me, it’s not that you weren’t desperate to get out of Dodge while living your hamster-wheel 9-5 existence in small town USA, you just didn’t realize there was a proper name for it and that folks just like you all over the globe were suffering from the exact same thing – Fernweh! Yes, Fernweh! 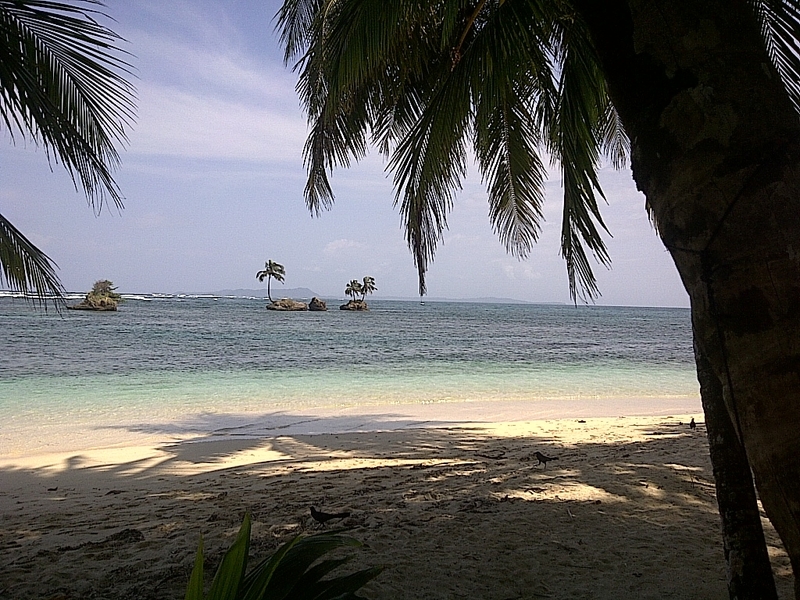 Beach in Panama – guaranteed to grant Fernweh sufferers relief while experienced – unless they’re too busy trying to hide something else. Girl: (Contemplating if a hammer or strong tug would be more effective) Whatever possessed you to put a flower pot on your head in the first place? It was to him boring in his skull. Meaning? He was so bored out of his mind, that some primitive part of his brain deduced that acting like an idiot was a more preferable state of being. (and don’t get the guy version of hissy-fit on me guys – man up and simply admit it’s definitely a guy syndrome). Still in denial? Staple gun battles with the guys in the barracks. Tasering-just-for-fun amongst police colleagues. The who-can-hold-onto-the-electric-fence-the-longest cowboys. Th red-hot-chilli-pepper-eating contest because the poker game needed higher stakes. The popularity of the Fad-im-Schädel Poster Children — MTV’s “Jackass” stars – was perhaps predictable. The Youtube Nightline clip of the show features the byline “Really Bored Dudes on ABC’s Nightline.” Nightline’s lead-in question: “But why are they doing all that?” Seriously Nightline? Just because the English language hasn’t yet adopted fad im Schädel, doesn’t mean English-speaking guys are any less afflicted. The phrase is bound to make it into the American Heritage (or its equivalent) sooner or later, just an entry above Schadenfreude, which is what the ladies experience when the chilli pepper pain is difficult to quench, the staple guns leave their wounds, the tasers hit an unintended mark, or the flower pot demands professional assistance for removal. This is obviously an international phenomena that also strikes British men as well – check out what this guy got up to while the Mrs. was away: Aycliff man who stole woman’s knickers was bored because wife was away at dog shows, court told – the thoroughness of the roving news reporter’s tenacity for fact-finding is impressive. Lizzie will stop at nothing to get every detail into her knicker caper article – even the exact color of the knickers (yellow). The school boys in the painting featured here are all suffering severe boredom in their skulls as their teacher dozes away their lesson. Everything you never wanted to know about the Jackass series on Wikipedia. 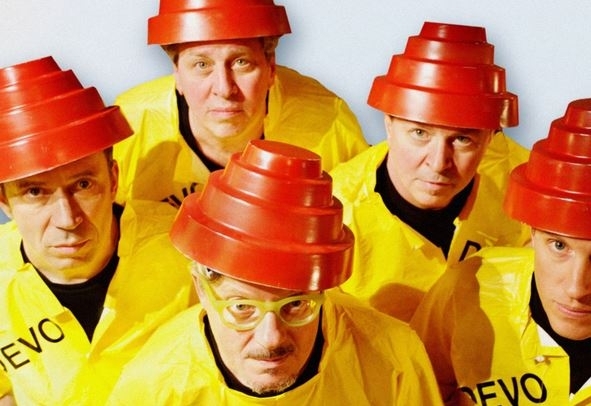 And – because you know you are dying for it: Devo’s Whip It Video. 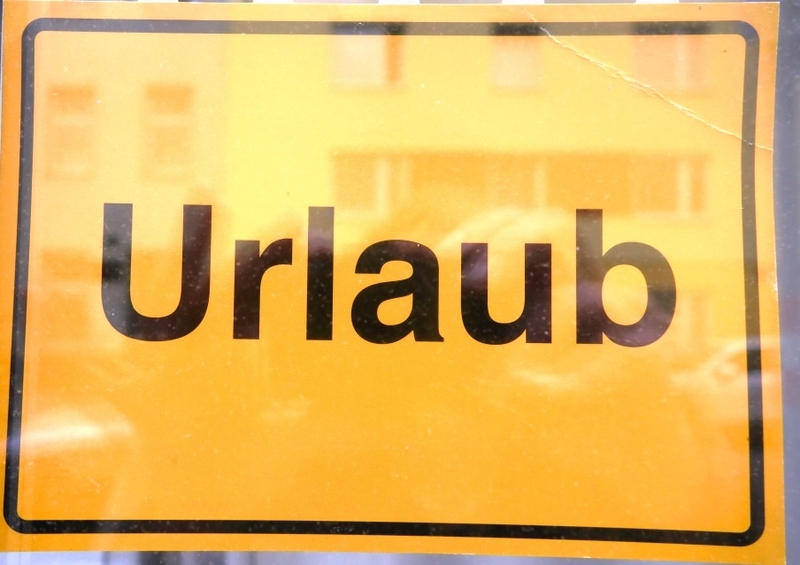 Häuslpapierfladerer: The German word “Haus” is a cognate of the English word “house.” In German you add the ending “chen” as a diminutive >> Häuschen. In Austria you add an “erl” as the diminutive. A Häuserl is not a little house as in Laura Ingalis’ house on the Prairie – it’s that even smaller closet-sized shack out back that we never see Ma, Pa, Laura, Mary or Carrie visiting but we know must be there. Papier and Paper are also cognates. And fladern? It means to steal. So an Outhouse paper robber is a person who steals the toilet paper from public bathrooms. For shame! Who does such a thing?! 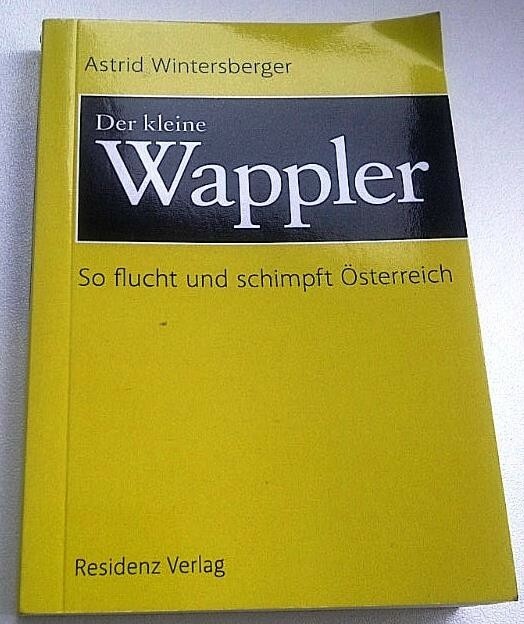 Delve more into the Austrian creative side with their rant words: “Der Kleine Wappler” by Astrid Wintersberger, Residenz Verlag — book is completely in Austrian language.